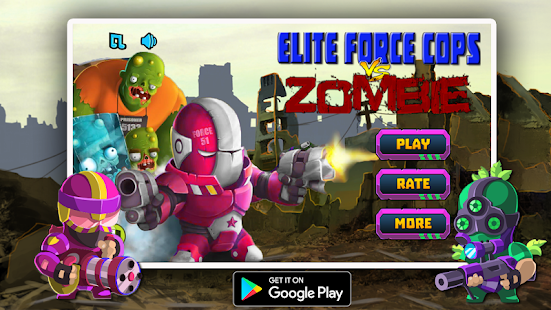 Elite Force: Zombie Attack is the most addictive zombie shooting game ever! 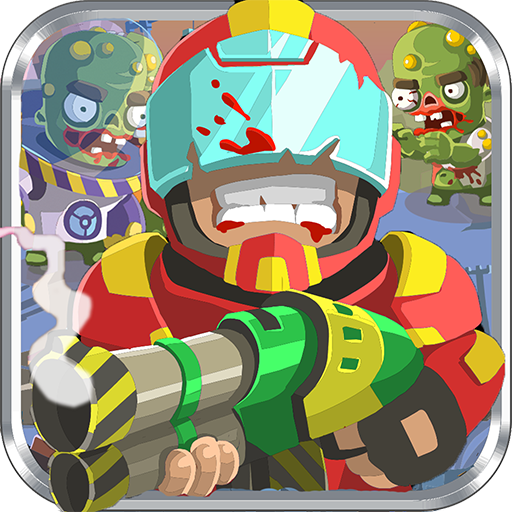 Be the hero and kill all zombies! The zombies are trying to attack you and kill you, but you should not let them do that or you will lose! Defend yourself and kill all zombies with the given weapons. The objective of this addictive zombie shooter game is to shoot at the zombies and kill them while protecting yourself from them. It's a great game developed and designed portraying an awesome environment. Our advanced realistic physics engine will let you get the feeling of killing real zombies, but in reality, you are just playing within our addictive zombie shooting game. So, if you ever wanted to try a realistic and addictive shooting game then you have to download Elite Force: Zombie Attack. Sounds easy? But can you really survive and finish the objective of each level? 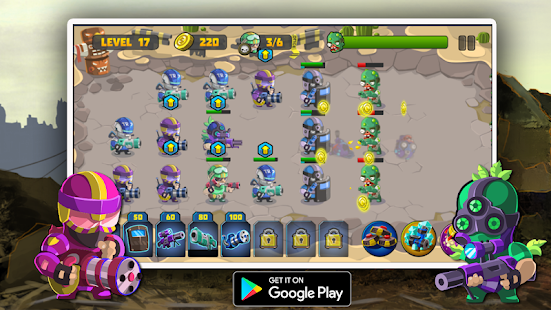 There are many incoming zombies, each one has different abilities such as freeze unit, suicide bombers and many more, but you will also have a wide selection of soldiers with different skills and strengths and you should choose the right soldier who is able to kill zombies without being killed. Why do you need to download and install Elite Force: Zombie Attack on your Android smartphone or tablet instead of other zombie shooting games? ✓ We made some Cool and smooth high-quality graphics to give you the best experience while playing the greatest zombie shooter game ever! You will enjoy it! ✓ Elite Force is free and it will stay free for life, so there are no hidden fees, no special memberships, and no annual subscription fees to enjoy playing it. ✓ Upgrade the health, damage, range, critical and many more systems to be able to kill zombies easily. What are you waiting for? Download Elite Force: Zombie Attack and enjoy the most addictive zombie shooter game ever!